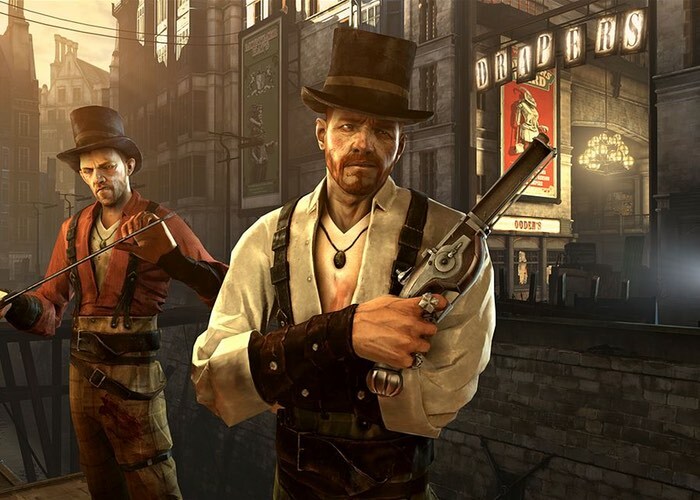 Gamers patiently waiting for Bethesda to make available the Dishonored Definitive Edition for Xbox One, will be pleased to know that it is now available to preorder and will be available to play later this month on August 28th. Available to purchase for £30 the Dishonored Definitive Edition for Xbox One is now available to download but unfortunately will not be available to play until its launch date. The download is 35 GB in size and will be playable at 12:01 AM GMT on release day. Watch the trailer below to whet your appetite a little more before the game bundle is available to play. Arkane Studios’ Dishonored, winner of over 100 Game of the Year awards, and all of its additional content come to the next generation in Dishonored Definitive Edition! With Dishonored’s flexible combat system, creatively eliminate your targets as you combine the supernatural abilities, weapons and unusual gadgets at your disposal. “Void Walker’s Arsenal” offers unique character bonuses, additional bone charm slots, and more that will aid you in pursuit of revenge. Enter the world of the Outsider in “Dunwall City Trials” where you will put your combat, stealth and mobility skills to the test. Finally, play as the legendary assassin Daud in “The Knife of Dunwall” and “The Brigmore Witches”.